THE Nigerian Stock Exchange (NSE) has partially lifted the suspension placed on shares belonging to Oando Plc, saying effective, Monday, the shares is on technical suspension. In a notice signed by Tinuade Awe, General Counsel, Head of Regulation, NSE said shareholders can now trade their shares but the trading activity will not lead to a change in price. “Dealing members are referred to our market bulletins of Wednesday, October 18, 2017 (NSE/LARD/LRD/MB05/17/10/18) notifying them that effective Friday, October 20, 2017 and until further directive, the shares of Oando Plc (“Oando” or “the company”) will be placed on technical suspension; and that of Friday, October 20, 2017 (NSE/LARD/LRD/MB07/17/10/20) informing them that the shares of Oando were still on full suspension as the process of converting from full to technical suspension was yet to be completed” the statement read. The regulator had suspended the company’s shares last week Wednesday following the directive from the Securities Exchange Commission (SEC). 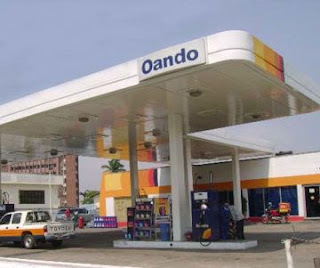 On its part, SEC said it made the following findings at the end of its investigation of the company: breach of the provisions of the Investments & Securities Act 2007, breach of the SEC Code of Corporate Governance for Public Companies, suspected insider dealing, related party transactions not conducted at arm’s length, and discrepancies in the shareholding structure of Oando Plc. On Thursday, the Johannesburg Stock Exchange (JSE) also placed a ban on Oando following the consent of the management of the company to follow suit with the Nigerian counterpart. “In the light of the development in Nigeria, we communicated with the JSE and shared with them the letters received from the SEC and we felt it is only appropriate that we suspend trading on the JSE until we are able to resolve what has happened,” the company said over the weekend.